In case of an emergency, put the power of Cook Bros. to work for your carpets. The last thing that we want our customers to have to go through is a water damage in their home, but when it occurs one call to Cook Bros. will put an Emergency Response Team in motion to take care of the disaster. 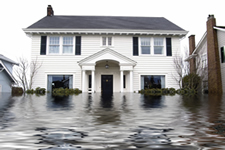 Our professional technicians are trained and certified to handle all types of water damage situations. For information, contact your Cook Bros. professional.Insurance Claims: When you have an insurance loss it pays to use Cook Bros.. We can work directly with your insurance company saving you time. We also use the estimating software called Xactimate© used by most insurance companies with industry set pricing.